Martian explorers invaded the desert near the tiny town of Hanksville, Utah, early this morning and will remain there for the next two weeks to test technology that could be crucial on a long-distance mission. The four-member crew is part of an ongoing mission at Utah’s Mars Desert Research Station to study what life will be like for earthlings who make extraterrestrial visits to the Red Planet. And for the first time, they will be testing 3-D printed medical devices. Dr. Julielynn Y. Wong, a preventive medicine physician who is the director of the Center for Innovative Technologies and Public Health, is leading this — the 145th simulation at the station — to test out medical technologies in space. Stanley Kubrick was right about most things but when it came to 2001: A Space Odyssey, he got it hopelessly wrong. We’re now 13 years on from that particular date, so where’s our future? Instead of Pan Am flights to the moon we’ve got the faltering efforts of Virgin Galactic, which suffered another setback with the crash of its test plane last week. Instead of elegant space stations resembling modernist furniture showrooms, we have got the cramped tin cans of the International Space Station. And forget survey missions to Jupiter, Nasa doesn’t even have a space shuttle any more. As it is, we are not even on track for the dystopian future of Blade Runner, unless we can knock together some off-world colonies in the next five years. Charlton Heston’s Soylent Green is definitely still on, however, being set in 2022 (spoiler alert: we end up having to eat each other). From a space enthusiast’s point of view, there is nothing more depressing than the fact that 2001 does not look particularly dated. If you had told those 1960s star children we would be no further out of Earth’s orbit nearly half a century later you’d have been laughed out of the cinema, and many of those people, Americans in particular, have never forgiven their governments for not fulfilling their promises. Political and economic pressures and conspicuous accidents, such as the Challenger and Columbia shuttle disasters, have clipped NASA’s wings considerably, and the multitude of Earthbound problems have put interplanetary exploration on the back burner. But in terms of a big, public plea for rebooting space travel, Interstellar is the answer to space camp’s prayers. Xploration Outer Space from Steve Rotfeld Productions on Vimeo. Emily Calandrelli, a 27-year-old astronautics expert, has been named host of “Xploration Outer Space,” a new syndicated series set to air on FOX-owned stations beginning in September. Its goal is to show off the coolest aspects of space and science to high school aged teens. Since traveling to Mars isn’t yet possible, figuring out how to conduct routine, and specialized, activities on the Red Planet requires mock missions on Earth. 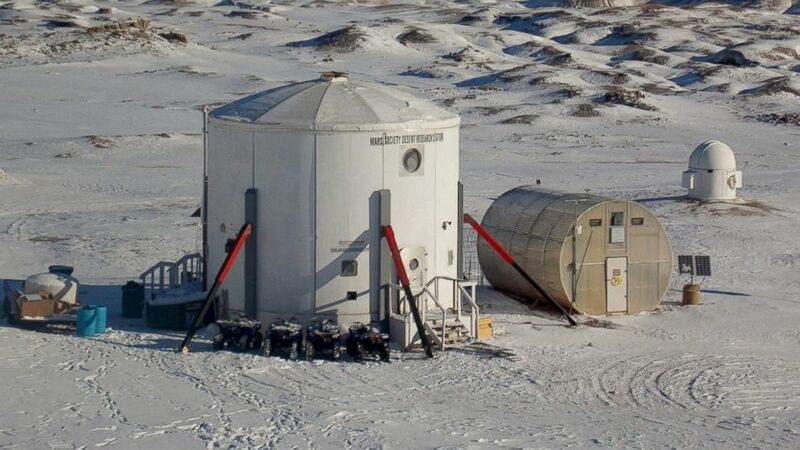 The Mars Society’s Mars Desert Research Station (MDRS) is one of the leading facilities hosting researchers, scientists and engineers as they test hypotheses, conduct simulated field work, and gain experience living and working in the physical and social confines of a Mars analog. Today marks the kick-off of the 17th Annual International Mars Society Convention in the Houston, Texas area, running from August 7-10. You can follow the 4-day conference by watching the major plenary talks online. The Mars Society will be convening the 17th Annual International Mars Society Convention in the Houston area from August 7-10. For those unable to attend the four-day conference, please consider watching the convention plenary talks live via the Internet on Livestream video broadcast. They’re calling it the next giant leap for mankind — putting people on the surface of Mars. It may seem like science fiction, but for a Netherlands nonprofit, it’s fact. Mars One is the project that plans to establish a permanent human settlement on Mars with crews of four departing every two years starting in 2025. But buyer beware, it’s a one-way ticket. In Denver, just shy of her 24th birthday, Elena Finley may be one of those first Mars settlers. Boeing and NASA employees recently partnered with academia to conduct early experiments on technologies that could eventually support life on Mars. The group traveled to a corner in southeastern Utah, right outside of Hanksville, Utah, to test out early solutions to potential problems.